We hope you’ll use the information provided to choose the right visa for an internship in China and enjoy your life in top cities like Shanghai, Beijing or Nanjing. Back in the day (pre-2013), a visitor F-visa would allow for a six-month internship, paid or non-paid. However, nowadays the wording allowing students to intern has been removed, and it has become a gray area. Strictly speaking, the F-visas are described as for non-commercial “visits, exchanges, inspections, etc.”, offered to experts invited for non-commercial conferences, cultural exchange, investigation, scientific/technological/educational tours, or for sports and other health activities. 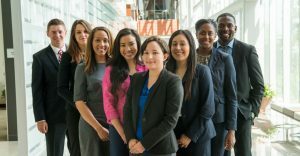 The F-visa should probably not be used for internships, which could be why many applicants applying for internships have had their F-visa applications rejected. However, since there is no official “internship visa” and nowhere does it strictly state that an F-visa can be used for an internship; but China visa category F (F-visas) are still offered to interns in China by some Internship Providers. The most commonly offered internship visa is the business M-visa, which does not allow the intern to be paid for their services neither any form of compensation. Officially, the M-visa is only for “commerce or trade”, which is why it is a very short-term and requires exit and entry every 30, 60, or 90 days. Having to leave the country and re-enter China can significantly increase the cost of your internship, depending on where you intern. For example, if you interned in Beijing and had to renew your visa in Hong Kong, you might spend between RMB 3,000-5,000 for a weekday visa run (note: you would have to take at least a day off work), but if you lived in Shenzhen, you would still need at least a day off work, but could probably get away with less than RMB 1,000. Although the M-visa is for the business of commerce and trade and nowhere does it strictly state that an M-visa can be used for an internship, but China visa category M (M-visas) are still the most commonly offered visa to interns in China. Many companies will offer a position, but require the candidate to enter China with a tourist visa first with the promise of changing it to a work visa, or another proper visa, later. This is especially true with full-time employment offers. However, remember that it is strictly illegal to work on a tourist L-visa (no gray area at all), and if you were to take the agency or company’s bait, there is absolutely no guarantee that you will not have any employee rights. The consequences of working on a tourist visa could be an employer who refuses to pay a salary, changes the working conditions or wage amount, or other unethical change because the company knows that you have no employee rights when you’re working illegally. In addition, they know that you will not report them to anyone because by working illegally you are engaging in risky behavior that could result in substantial fines or even deportation. The difference between the X-visa (often broken down to X1 and X2) and F-visa is that X-visa students need to have registered residency. Students who study in China with universities on an X1-visa are allowed to perform internships and other work as long as they have submitted internship applications to their schools and received approval. They then take that approval letter to the local Entry and Exit office at the Public Security Bureau and update their residence permits with detailed information about their new employers, such as the company name, location, and employment length. The X1 Visa allows stay up to a year and can be issued by universities with a JW202. The X2 Visa is usually issued to students who will stay in China for up to 6 months. Most organizations prefer X2 for internships. The X visa could be extended while in mainland China. Some situations may require students to travel to Hong Kong to extend. Companies such as Benz, Audi, Marriot Hotels, and other Fortune 500 organizations with legal and compliance department will only accept X visa. 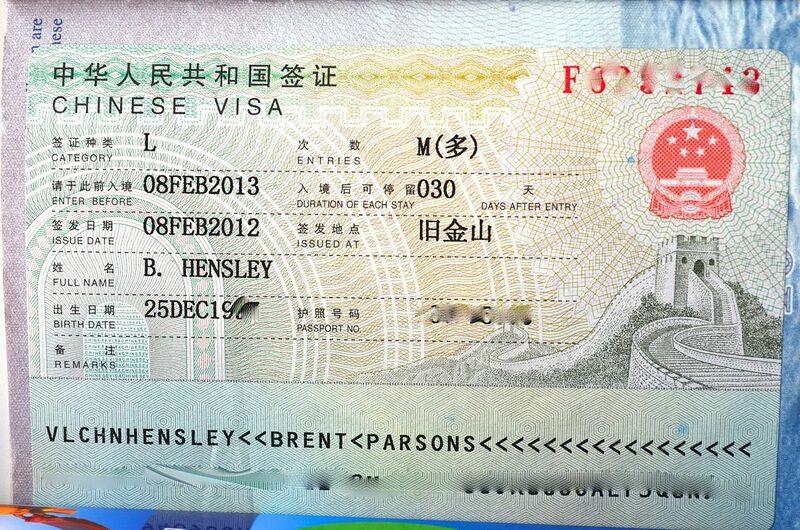 The S-visa is for relatives of foreigners living and working in China, such as trailing spouses and visiting parents. The visa can normally only be given to relatives of Z and X visa holders, but companies in Beijing’s Zhongguancun Science Park allow all foreign university students studying in Beijing to complete internships with S2 visas since the S2 (short-term) visa is loosely described as for “private affairs”. F-visas are for invited visitors and volunteers. M-visas are for business people; when used with internships there are limitations. L-visas are strictly for tourism and should not be used for internships. X-visas, especially long-term ones, are the most appropriate visas for internships. S-visas are alright for internships in certain high-tech zones. Keep in mind that regardless of visa type, non-paid internships are as legal as they are in the United States and other countries. Nonpaid internships might compensate by offering travel, housing, or food stipends. Note that different cities might have different guidelines and that certain tech centers have more foreigner-friendly policies. 1. If they will send your visa documents through email – The right internship visa requires original documents which means they have to be delivered through the registered mail (DHL or FedEx) rather than an email for you to print out. This is an indication they are offering you an illegal visa. 3. They send you an invitation letter through email including a scanned Copy of an ID card of a Chinese Citizen:- This is an indication you are getting a tourist visa and you should reject it outright. Your internship visa needs to be sponsored by an educational institution. This means all documents will come from them because the government of China has legally vested these powers into them. On arrival, you should visit to the Public SafBureauxaeux to complete your registration and officially qualify to intern in China. 4. Other Documents with itinerary and accommodation contracts. Now that you have secured an Internship, its time to go through the visa application process. It’s so simple and straightforward with submission. Ø STEP 1: Contact an institution that can help you acquire the relevant documents required as stated above. Ø STEP 4: Pay the visa application fee at the Visa Office and pick up your visa. Ø STEP 5: After 5 working days, your visa should be ready for collection. This is the normal application process but China is a sovereign state hence reserves the right to vary this process. All you need is to know what extra levels of information required and act accordingly. This steps will not replace the situation in your country. Looking for an Internship China visa advice? The post The Right Visa for Your Internship in China [Legal Advice] appeared first on China Internship Placement Blog.